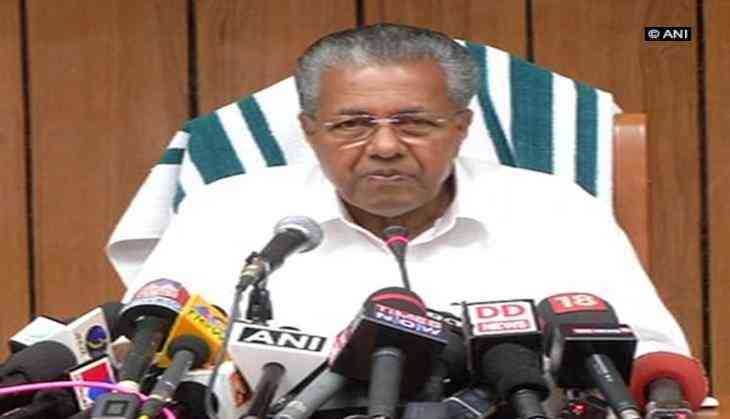 Kerala Chief Minister Pinarayi Vijayan on 9 November tabled the judicial commission report related to solar scam case against former chief minister Oommen Chandy and others in Kerala Assembly. According to the report, Chandy and his staff members - Tenny Joppen, Jikkumon Jacob and gunman Salim Raj - had allegedly helped the prime accused in the solar scam, Saritha S. Nair and Biju Radhakrishnan, cheat the clients. It also states that then Home Minister T. Radhakrishnan made all efforts to ensure that Chandy is extricated from all the criminal liability. The solar scam took place in 2013 when the United Democratic Front (UDF) government led by Chandy was in power. On October 11, Vijayan directed an enquiry against Chandy and others in connection with the case. The chief minister's directive came days after the Commission headed by Justice G. Sivarajan, which probed the multi-crore scam, submitted its final report to him. The case relates to swindling of lakhs from several people by Sarith and her live-in partner Biju Radhakrishnan after promising to set up solar panels. They were business partners of Team Solar Renewable Energy Solutions Private Limited, a Kochi based firm. They were arrested in October 2013 and in December 2016. The Judicial Magistrate Court in Perumbavoor had sentenced the duo to three years in prison and a fine of Rs. 10,000 each. During investigation, the former chief minister and some of his cabinet colleagues were accused of taking a huge sum of money as a part of the deal. Chandy had deposed before the Commission in December 2016, saying that the charges against him were politically motivated.